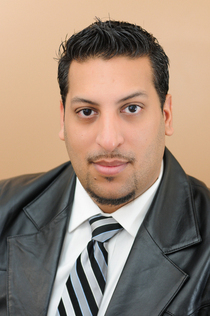 Born and raised in Toronto, Ontario, Canada, Dr. Jamal has been interested in the human body since a knee injury in 1997 ended his dream for Professional Sports. Since, he has volunteered as a Kinesiologist Assistant to gather insight into the world of Physical Therapy. He received a Combined Honours Bachelor of Arts Degree at York University, in Toronto, Ontario, in both Philosophy and Kinesiology and Health Sciences in 2007. 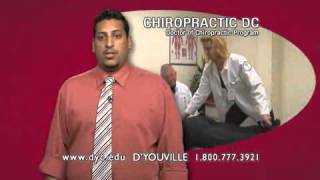 He then attended D'Youville College in Buffalo, NY, where he graduated, with his Doctorate of Chiropractic in 2010. To obtain a position where I can utilize my skills to help modernizing and revitalizing a company that drives to be a leader in its industry; while still doing work that is meaningful, challenging and important to in the healthcare filed. My profession is undoubtedly my passion, only superseded by the desire to help people get the necessary and accurate healthcare they require to achieve their natural state of health. Clinical Director, Chiropractor and Acupuncture provider of the Toronto Spine & Sports Clinic, providing assessment and treatment of Sports Injuries and Chronic conditions, such as: Disc Herniations, Degenerative Disc Disease, Spinal Arthritis, Spinal Stenosis, Sciatica, Facet Syndrome, Sports Related Injuries and other injuries associated with the neuromusculoskeletal system. Chiropractor and Acupuncture provider at Pickering clinic. Responsible for assessment and treatment of patients with private, EHC, MVA and WSIB cases. Use of Universal Program, HCAI and OCF forms. Mackenzie Medical Rehabilitation Centre INC.
Chiropractor and Acupuncture provider at Whitby clinic. Responsible for assessment and treatment of MVA, WSIB and EHC patients. Familiar with Universal Program, HCAI and OCF forms. Medical Director of 5 multidisciplinary clinics in the GTA, with a large variety of physical therapy practitioners. Responsibilities include: staff training and support, quality assurance, implementation of policies and procedures and conducting monthly meetings. Providing on-field and clinical Chiropractic treatment and First Aid to athletes at the Presidents Choice Pan Am Ballpark in Ajax, Ontario. 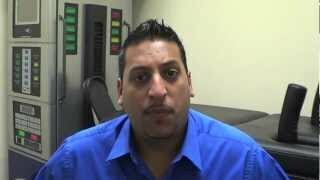 Chiropractor at 3 multidisciplinary clinics in the GTA. Responsible for assessment and treatment of MVA, WSIB and EHC patients. Familiar with OCA PMP Program, HCAI and OCF forms. Consulting Canadian Chiropractor to the Buffalo Bandits professional Lacrosse Team. Provided chiropractic care to populations that present with problems accessing the health care system as a result of socio-economic status, geographic isolation, cultural and/or language barriers. Duties involved aiding the campaign to progress to give chiropractic more positive media exposure, motivate the general public to consider and ultimately utilize chiropractic services, create an identity of professionalism, which is consistent with consumer expectations, increase patient visits, give the chiropractic practitioner the marketing support s/he needs to build and maintain a successful practice. Assisted in accreditation process, and curriculum update of Chiropractic program. Assisted Office Manager with daily responsibilities: answering phones, filing, copying, and data entry. Featured in a commercial on Fox. Worked in a group home and educational environment, aiding and supervising mentally and physically challenged children, teenagers and adults to complete necessary life skills. Duties include the assessment of physical, emotional, mental and social needs of the “people we serve;” along with the appropriate implementation and co-ordination of short and long-term plans of care. These duties were the administration of daily medication, preparation of meals and continued maintenance of living environment. Crisis intervention was required regularly, accompanied by the continuous logging of case notes, shift reports and incident reports. Certified by the Canadian Training Institute in Crisis Intervention with the Hostile and Aggressive Individual. Duties included set-up of modalities, teaching stretch classes, advising patients on correct form and mechanics when exercising and some administrative work. - A very responsible and reliable individual. - Well organized with extraordinary time management skills. - Work extremely well in groups and a natural leader; however, never avoids challenges, very adaptable and work effectively as an individual. - Strong analytic, problem solving and critical thinking skills. - Exceptional conflict resolution and problem solving skills, aforementioned skills are only enhanced when placed under pressure.